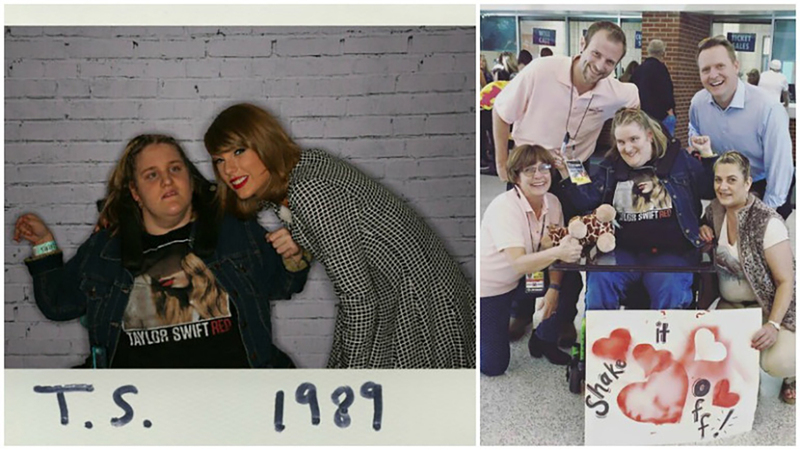 Greensboro -- It was just a few minutes, but enough time for Charli Robertson and her mom to personally say "thank you" to Taylor Swift Wednesday. "I can't believe it," said Charli, who met the pop-star backstage before Swifts' 1989 World Tour performance in Greensboro. "It was awesome, she even gave me a hug." In the fall of 2012 Robertson, who suffers from cerebral palsy, endured a seizure so severe it erased her memory. Months later, just when doctors started to give up, her mom started playing Swift's music and immediately her memory started to return. "She helped me bring my memory back," said Robertson. "It's not physically she saved my life but mentally she did."